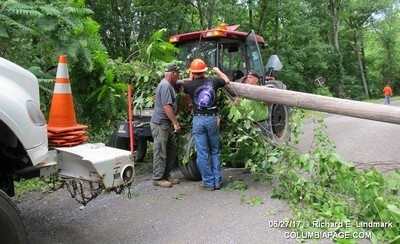 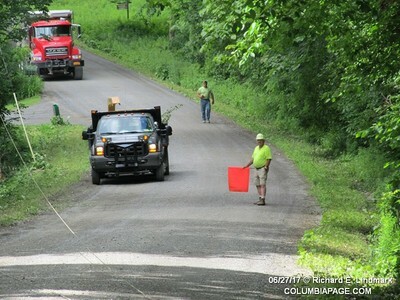 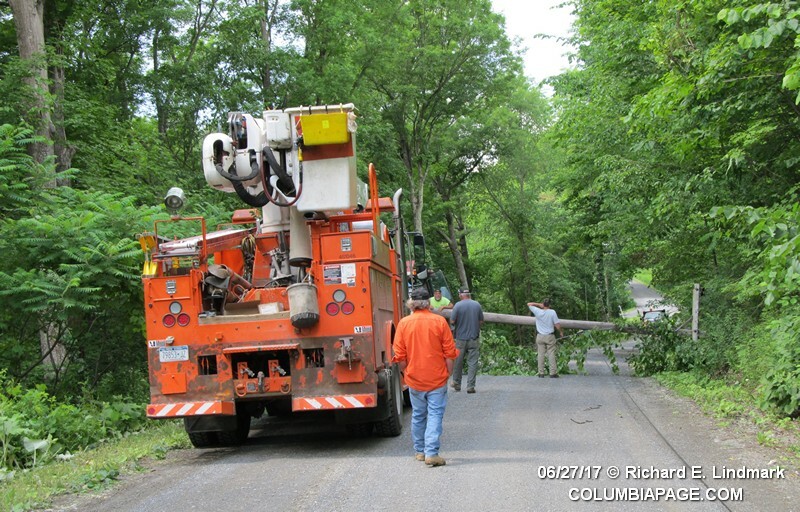 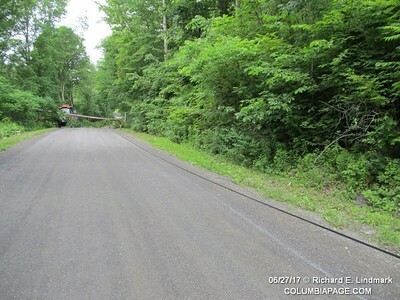 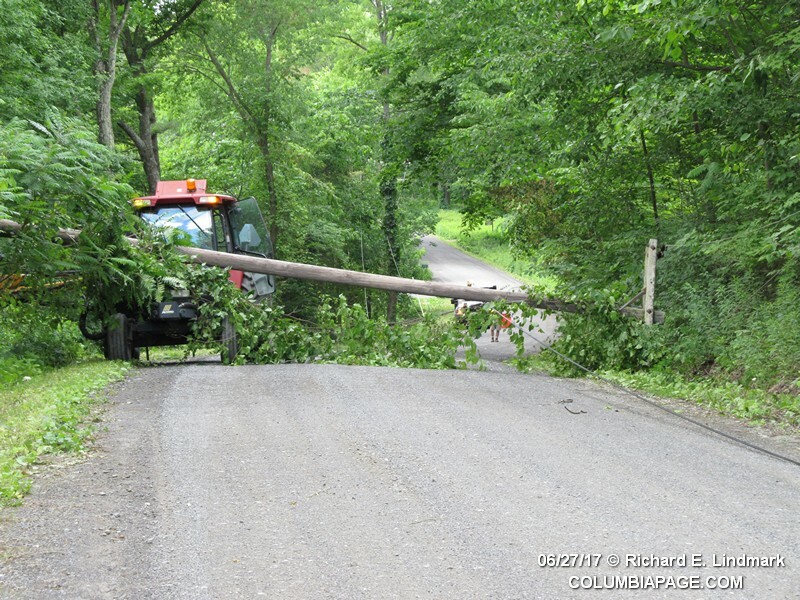 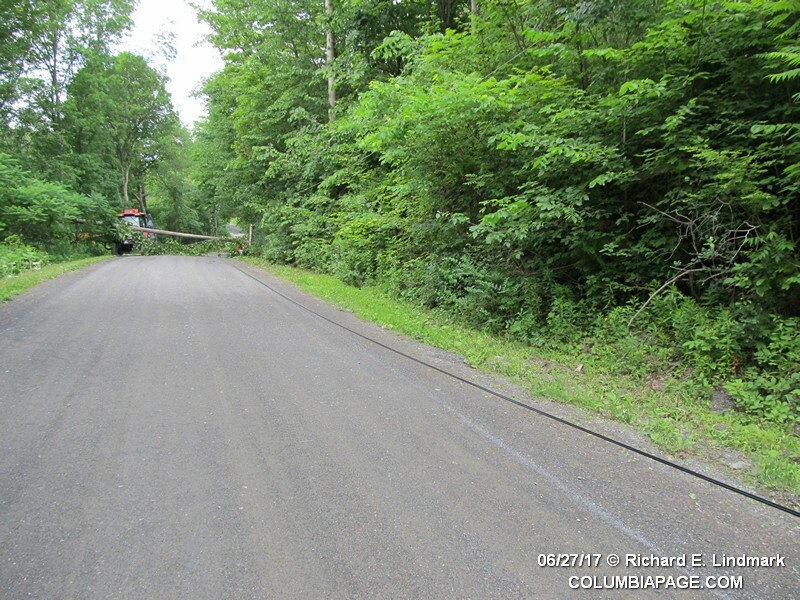 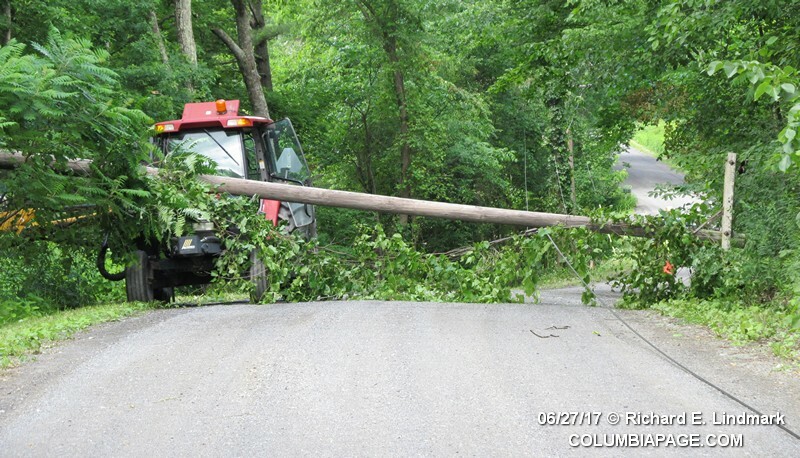 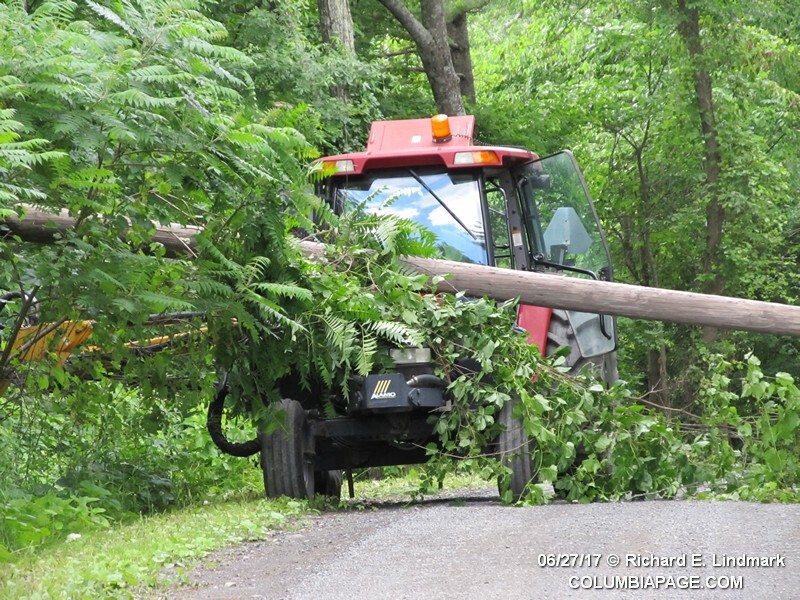 Columbia County 911 dispatched Canaan Firefighters at 2:27pm for a report of wires down on a town highway tractor that had been mowing on Stony Kill Road in the Town of Canaan. 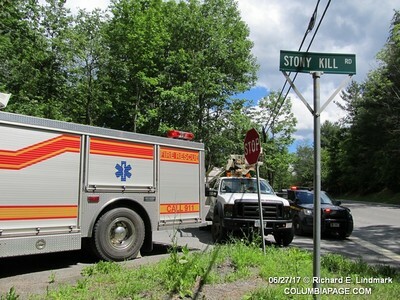 Red Rock Firefighters were dispatched under automatic mutual aid. 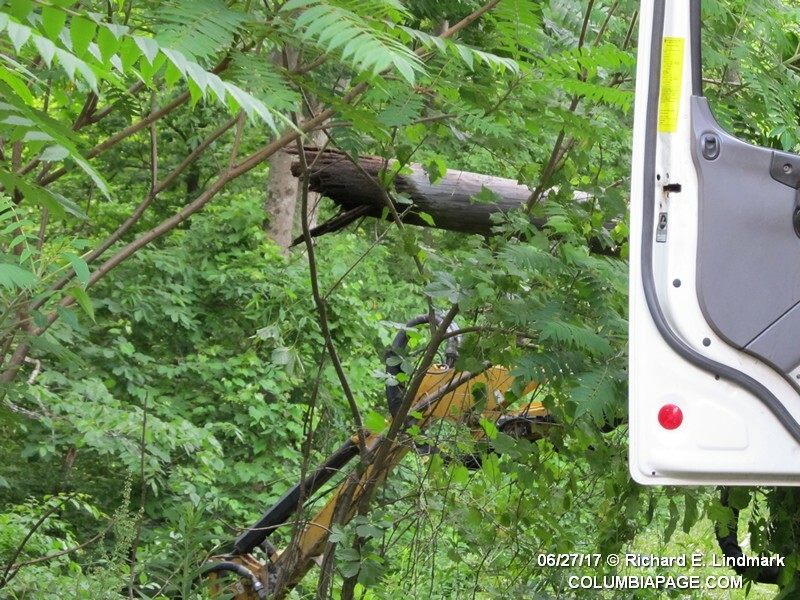 They were not needed at the scene and returned to service. The operator of the tractor was still inside the cab and was not injured. New York State Electric and Gas and Fairpoint Communications were requested to the scene. 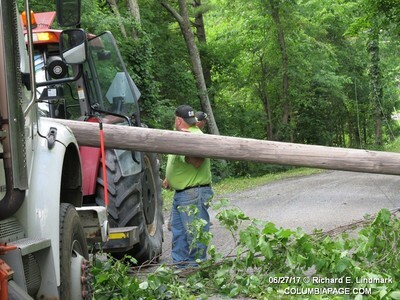 The NYSE&G crew reported the fuses had blown when the pole came down. 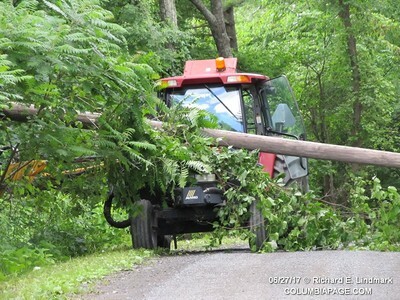 The operator then safely exited the tractor. 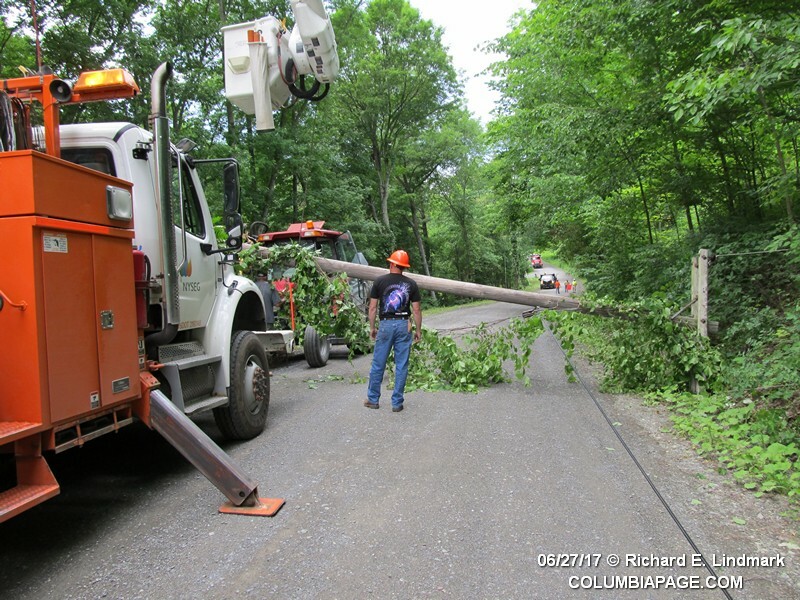 It was reported that the guy wire to the pole was struck causing the pole to come down. Chatham Rescue stood by at the scene. 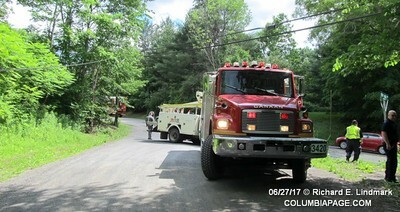 Firefighters were back in service at 3:07pm.